ARE YOU FEELING PUSHED IN THESE TIMES OF GREAT CHANGE? Would you like a warm hand on your shoulder offering heart-centered guidance and the confidence you’re going the right direction? Tired of the incessant nagging voice in your head? Tough, confusing times? Relationship challenges? Confused on how to free yourself from the old system, and succeed as who you truly are? Chronic issues that, no matter what you’ve tried (yoga, meditation, EST, psychotherapy, rolfing, bungee jumping, magic mushrooms…), keep coming back to ‘haunt’ you? GET a dose of the ‘RA-Sol Self-Mastery Program’ – the natural, holistic, fully sustainable and super effective ‘medicine’ for you!!! One thing is absolutely unavoidable: You must make the passionate and irrevocable choice to free yourself, if you truly want to be free….. This is my forté my friend, facilitating this ‘revolutionary’, magnificent self-empowering Shift to your Greater Potential Self! Read below – If you are hungering for these qualities, my coaching and guidance may just be the major support you’ve been seeking to help you springboard more rapidly and joyfully into your dynamic New Life! RE-BOOTING — De-programming from the materialist, consumerist, automaton rat race lifestyle / RE-programming for True Holistic Sustainable Blisstatic success! SOCIAL EMPOWERMENT — Learning how to welcome, assimilate and operate from your expanding belief systems, in peaceful nonconformity with the frequently stifling background pressures of the more rigid and dogmatic systems of our past — and, of course, the powerful reactionary magnetics of your family and friends, co-workers, etc. DREAM MANIFESTATION — Learn highly effective daily practices and disciplines to take back your Birthright: your God-given Power of Creation! — and position yourself on the fast track to manifesting your dreams! 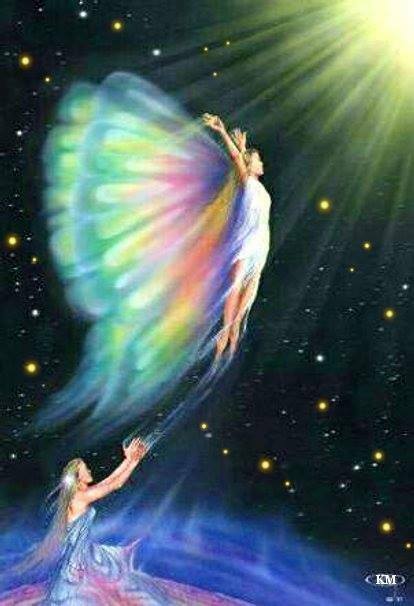 CONTACT ⇒ onewaverider@gmail.com Schedule your Initial Consultation, where we both can determine whether (or not) we can work together to coax your Emerging New Self out of its cocoon, to gently but firmly unfold your New Wings in this expanding new world we are now co-creating for all of humanity. For further assurance, please scroll down to the Testimonials section at the end to get a better feel for the quality of transformational assistance I can deliver. (The $20 fee for your initial consultation (via Skype or phone call) includes both a digital copy of my e-book and a quick outline of at least one effective technique that you can use in your daily life for immediate improvement). A little personal history . . . . Starting way back in the 1980’s, I began learning, studying, and ‘field testing’ many different philosophies, theologies, self-help theories, and purely psychological approaches and styles, to consciously improve my human self, achieve inner peace, and reach a state of imperturbable bliss. The techniques were originally employed to learn to succeed at simply ‘surviving’ — and eventually thriving — under this crazy, hyper-controlled System we have slaved under for millennia. As an author and free-lance writer, I have enjoyed the opportunity to share some of these challenging adventures with others. To further that end of sharing, and to assist others on similar ‘unconventional’ life paths that are currently going through immense challenges in this rapidly changing world, I created this blog, published an e-book based on it, and in early 2014 began offering private counseling/coaching sessions to facilitate the experience of New Earth bliss for those who are interested in finally living this magnificent ecstatic New HUman lifestyle for themselves. I also have two dynamic Facebook pages, Ascending Community, and RA-SOL Healing Transformation, both of which feature frequent posts of images, articles, and inspiring quotes, and the additional input from over a thousand freely interacting spiritual people. 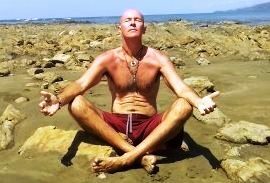 In 2013 I finally — and joyfully — reached a consistent, imperturbable state of Connection to SELF (nirvana, rapture, samadhi bliss, divine ecstasy, inner peace), and tried to describe it in the following blog posts: Profound Inner Peace, Ineffable Bliss and Afterglow. 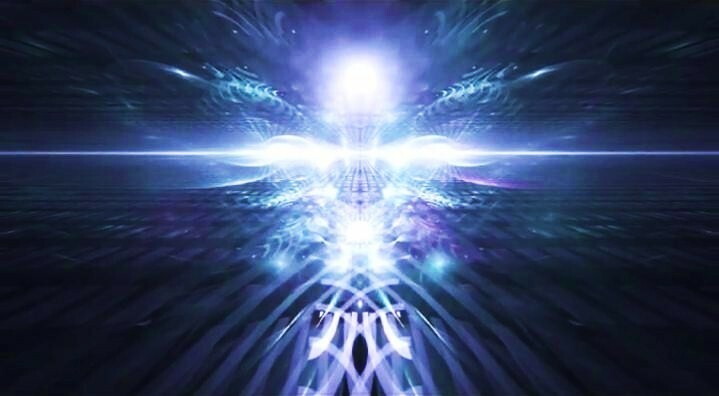 Around that same time my pineal gland became fully ‘activated’, and I began to see into the Higher Realms (Fractal Light Realm, Collective Imagination, 6D, The Grid, The Shamanic Worlds, etc.). You can read the only brief post I’ve ever published on this subject in Reconstructing The Starship, where I embedded several links to an excellent documentary and several very instructive articles for further personal research and practice. For those of you who wish to experience these things for yourself, helping others achieve these experiences has become my particular specialty and inspiration! Via providing conceptual intellectual foundations, teaching proven mental/emotional techniques and exercises, delivering custom-tailored guidance and coaching, suggesting powerful dietary and lifestyle changes, I have full confidence that you can quickly improve your overall life experience, and tap into the limitless potential of the New Cosmic Human Being! IF you are willing to do the inner work, I’d be happy to assist you in becoming a Self-Realized master of your own life. For those who choose this method of interaction, a Reiki Distance Healing is included FREE with your first full session. I AM both honored and excited to help you to follow your heart’s desires, your ‘highest excitement’ (as Bashar always urges), and MANIFEST YOUR DREAMS! For those interested in where I originally gleaned my expertise in the areas of self-development and personal evolution, the following represents a partial list of spiritual and self-development/empowerment books I read (at least once) and studied, and whose various powerful concepts and techniques described in many of them for self-expansion and Self-Realization I have diligently (and successfully) practiced. I’m sure most of you recognize at least a few of these titles: A Course In Miracles, Autobiography Of A Yogi, The Starseed Transmissions, Twin Souls & Soulmates, The Celestine Prophecy, Oneness (by Rasha), Conversations With God (Books I-III), ET 101 The Cosmic Instruction Manual, The Impersonal Life, The EFT Manual, Zen And The Art of Motorcycle Maintenance, The Three Pillars of Zen, Happiness Is A Choice, The Secret, I AM THAT, The Seat of the Soul, Spiritual Growth: Being Your Higher Self, Bringing Out The Best In People, How To Win Friends And Influence People, Think And Grow Rich, Acres of Diamonds, Mutant Message Down Under, the Dune books, the Lord of the Rings books, and The Enlightened Mind. I have had healing from Alexander Rasol . He is an amazingly gifted holistic healer, He offers many healing modes — including a therapeutic approach — as well as distance healing. Out of all of my healers that I have experienced, Alexander Rasol produces the fastest most heart-felt results. And, when Alexander Rasol heals me, I look and feel transformed, younger, and more passionate about life. I strongly recommend Alexander Rasol for any time of Karmic Clearing, Soul Retrieval, or Akashic Healing. I met you in the surf on that scary left in little dominical. You said to me “once you realize we are just energy everthing changes” you gave me a copy of The Southern Costa Rica handbook and signed it. Can you please expand on your comment about energy? Thank you. I understand energy…but I was looking for a sign from your words to me…. if nothing came up, thats okay. thank you for you time brother.